iW was lucky enough to sit with Roger Dubuis Manufacture CEO Jean-Marc Pontroue. He discussed the avant garde watchmaker's approach to design and technology, always keeping in mind the incredible timepieces Dubuis has concocted over the years. Below are two 2016 debuts that stand out and exemplify the innovative and bold watchmaker. 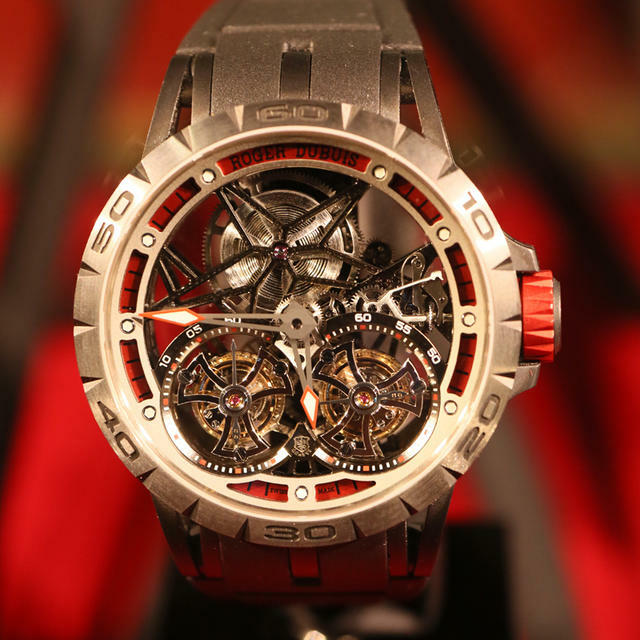 The Roger Dubuis Excalibur Spider Skeleton Double Flying Tourbillon creates powerful contrasts with the titanium and black DLC-titanium case, a variety of fiery red aluminum elements on the inner bezel ring highlights the strong, sporty impact of this automobile speedometer-type design. The standout RD01SQ movement that powers the watch is displayed within this multi-level construction of the case, flange and movement. The watch is a limited edition of 188 pieces. 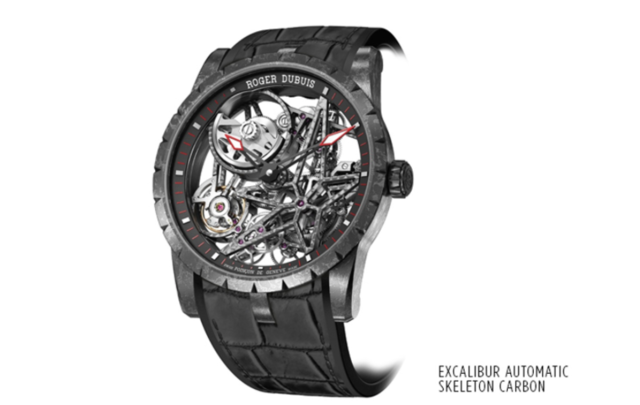 This watch is powered by the same skeletonized automatic movement that debuted in 2015. But this year the Excalibur Automatic Skeleton Carbon is clad in a high-tech composite known as carbon fiber sheet molding compound (SMC). This material is produced by compressing carbon fibers with resin and steel that have been molded at extremely high temperatures. The resulting material is then reworked and compounded with resin. Take a look at Roger Dubuis' new Summer debuts.